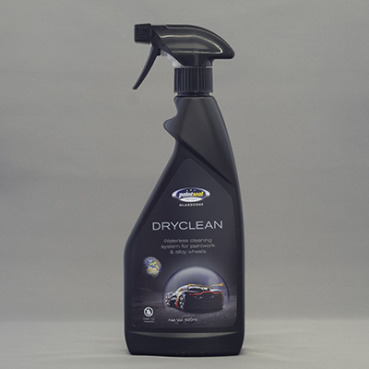 Ideal for use in all conditions and especially where there is a lack of water or facilities to keep cars clean. Initially designed for use in desert conditions to clean sensitive materials without scratching. This easy to use product has been formulated to complement GEN-3GLASSCOAT in order to produce a clean car without the need for wet washing. PSE Glasscoat Dryclean uses no water! A 500ml bottle of PSE Dryclean saves approximately 1 ton of clean water. PSE Glasscoat Dryclean can be used on a Greenfield site.